It is estimated by the CIPD that bullying in the workplace is the cause of 50% of cases of reported stress. 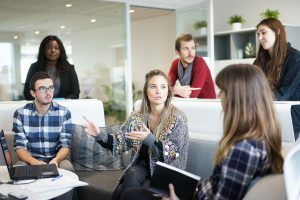 Bullying at work leads to increased absence levels of employees, staff turnover is subsequently high, productivity can then be reduced and staff morale is impacted. It therefore follows that the effects of bullying are both harmful to and expensive for an individual, a team and an organisation. In this two day course the trainer takes an innovative and creative approach to the subject matter of bullying by raising awareness of the subject matter and providing emotional and psychological insights into the dynamics within a bullying situation. Once “awake” to the dynamics of bullying, an observer or bystander to a bullying situation has a responsibility to take corrective and reparative action. This course provides participants with a strengthened, boundaried and emotionally intelligent approach to bullying at work. This course is designed for managers, human resources staff, team leaders and any employee in a position of team responsibility. Primarily the target audience is any manager who is interested in dignity at work and in enhancing the productivity of their team. The two day process aims to educate, prepare and “ground” delegates in the causes, psychological factors, prevailing conditions and awareness of abuse and bullying in the workplace. Subsequently participants will be instructed in how to raise awareness, increase their emotional intelligence and how to implement preventative and curative methods. Once aware of bullying at work, we all have a responsibility to take steps to eradicate abusive behaviour and to promote a dignified workplace environment for everyone. What is meant by bullying?